Flooding is extremely unpredictable, making damages to your home so much worse than normal water damage. However, you can take small steps before and during flood warnings to keep your family safe and minimize any damages or flood cleanup that can occur. First, make sure you have your furnace, electrical panels, and water heaters elevated and up off the ground. This way, if water does enter your home, you can lessen the chance of these appliances being broken or causing electrocution. Second, have important items and furniture in higher areas of the home. If you do encounter flood water in or around your home, move objects out of the way if possible, as to avoid personal property damage. You should also try to avoid coming in contact with the water. 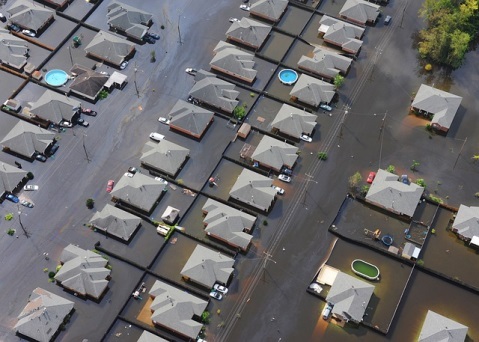 Flood waters can sometimes be hiding harmful objects, oil, chemicals, or even human waste. Finally, if there is a flood warning in place, pay attention to news outlets and follow instructions about turning off gas or electricity. This can prevent electrocution, fires, or even an explosion. Also, be sure to move any outdoor furniture to higher ground and secure it to prevent damages to your home and the furniture itself. You can prevent flooding from causing major damage in your home in just a few steps! Along with having an emergency plan in place as well as supplies, your family can stay safe too. If flooding does cause damage, call DKI to help with flood clean up! Our teams can respond 24 hours a day to help your home return to normal.